Magellan 3 mL Syringes with Safety Needle come with a pre-attached Needle and safety device to protect caregivers. These 3 mL Syringes with Safety Needle are designed with a safety device that is pre-attached to the syringe and covers the needle. This safety device easily slides along the needle. These 3 mL Syringes with Needle protect caregivers from accidental needle sticks. Manufactured by Kendall, Magellan 3 mL Syringes with Safety Needle are made with plastic and the needles are made with stainless steel. The 3 mL Safety Syringes come with anti-coring needles that are ultra sharp and tri-beveled. Magellan 3 mL Syringes with Safety Needle come in combinations that save caregivers time and provide clinical efficiencies. 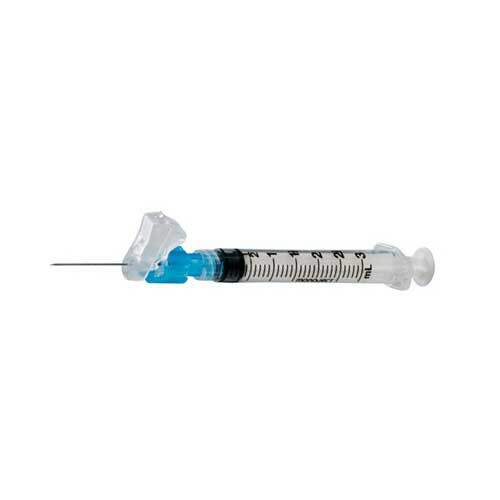 The Magellan 3 mL Syringes with Needle are easy to use and easy to dispose. 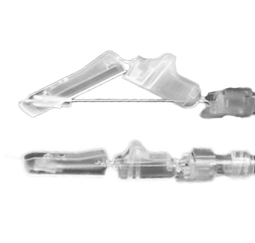 Each 3 mL Syringe and Safety Needle combination is packaged in a sterile soft pack. Vitality Medical also carries Magellan Safety Syringes with Needle in the following syringe volume sizes: 1 mL Syringe with Safety Needle, 6 mL Syringe with Safety Needle, 12 mL Syringe with Safety Needle. Integrated locking mechanism prevents deactivation once the safety shield has locked into place. Needles are pre-attached for greater efficiency. Needle Gauge Options: 20 Gauge, 21 Gauge, 22 Gauge, 23 Gauge, 25 Gauge. Needle Length Options: 5/8 Inch, 1 Inch and 1-1/2 Inch. 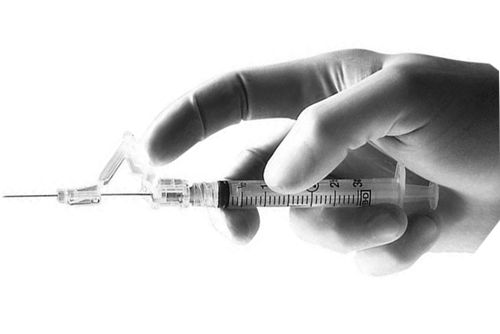 Application: Syringe with Hypodermic Needle. Needle Point Style: Ultra Sharp, Tri-Bevelled, Anti-Coring Needle. Kendall Magellan 3 mL Syringes with Safety Needle Product Numbers: 8881833010, 8881833015, 8881833110, 8881833115, 8881833210, 8881833215, 8881833310, 8881833510, 8881833558. This safety syringe works with only using one hand. Important when you are using your other hand to help the patient.